2. We have a “Legitimate Interest” in collecting the information, because without it we couldn’t do our job effectively and safely. 3. We also think that it is important that we can contact you in order to confirm your appointments with us or to update you on matters related to your medical care. This again constitutes “Legitimate Interest,” but this time it is your legitimate interest. 4. Provided we have your consent, we may occasionally send you general health information in the form of articles, advice or newsletters. You may withdraw from this consent at any time - just let us know by any convenient method. order that we can provide you with the best possible care should you need to see us at some future date. Your records are stored on paper, unlocked filing cabinets, and the offices are always locked when not in use and out of working hours. From time to time, we may have to employ consultants to perform tasks which might give them access to your personal data (but not to your medical notes). We will ensure that they are fully aware that they must treat that information as confidential, and we will ensure that they sign a non-disclosure agreement. 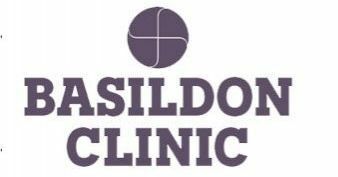 At Basildon Clinic Of Osteopathy, we are committed to maintaining the trust and confidence of our clients and our visitors to our web site. In particular, we want you to know that we are not in the business of selling, renting or trading email lists with other companies and businesses for marketing purposes. Below is a list of detailed information on when and why we collect your personal information, how we use it, the limited conditions under which we may disclose it to others and how we keep it secure. Online data is stored via Mailchimp - which is fully compliant with GDPR and keeps the data accessible to users to edit or unsubscribe - and has stringent data security in place. Data is never shared with other parties and is strictly for our own use to enhance the service we offer to our clients. As part of the registration process, we collect personal information. We use that information for a couple of reasons: to tell you about stuff you’ve asked us to tell you about; to contact you if we need to obtain or provide additional information; to check our records are right and to check every now and then that you’re happy and satisfied. We don't rent or trade email lists with other organisations and businesses.